A new holistic purpose built early learning centre in Elderslie NOW OPEN! Parents love Petit Early Learning Journey. It is not easy leaving your baby for the first time but the carers were amazing as they provide quality one-on-one time with you to discuss in depth your child’s day. Not only does the team do a fabulous job at taking care of my son they go the extra mile to provide assistance to parents with any issues or concerns you may have (for example: routines at home). I am very appreciative of the support we receive from the team at Petit and could not recommend the centre any more highly. My husband and I are very happy to have chosen the newly established Petit Hamilton for our children. The centre itself is custom designed, well resourced, clean and new. The educators are caring, approachable and experienced. Systems and communication with parents is consistently clear and timely. But most importantly, there is always something fun and different for the kids each day they attend! Thank you, Petit. Jackson has been attending Petit ELJ Caloundra since early July and he loves it, as do I. From day one, Jackson has always had a smile on his face when I drop him off for the day and it’s always an effort to get him out to the car because he never wants to leave. He adores the centre manager and his teacher Miss Nicole. He has come leaps and bounds since starting at Petit. My 18mo and 2.5 year old started at Petit Early Learning Journey when it first opened. I have experience with other centres and I have loved other centres but this centre is absolutely above all else. The staff at the centre are so caring and innovative and have contributed to the development of my girls in ways that I could not have imagined. Both girls love going to day care every day and get the opportunity to participate in so many creative learning activities supported by the staff. I think anyone who visits the centre will agree that the calibre of this centre sets it above the others. The high-quality care your child deserves. Our Elderslie centre has a large outdoor play area that accommodates the purpose-built playground. We also have our very own little animals for the children to take care of, play with and learn from. A big part of our Elderslie day care offering is making our families’ lives as easy as possible. 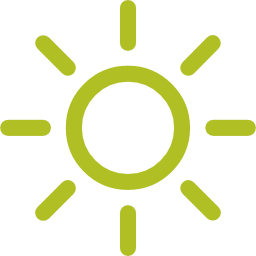 All nappies, wipes and food are included in your daily fees, we also provide hats and sunscreen for all children. Have peace of mind that your child is eating the freshest, most nutritionally sound meals as they are prepared on-site by our very own chef. Tailored learning & curriculum for each age group. At Petit, we tailor an early learning curriculum for each age group and constantly reflect and evaluate our programmes to ensure they meet your child’s individual needs. Through a gentle, supportive approach, we help your baby develop in key areas from the very beginning. Above all, we provide a safe, warm environment for your baby to build confidence and feel secure and loved. 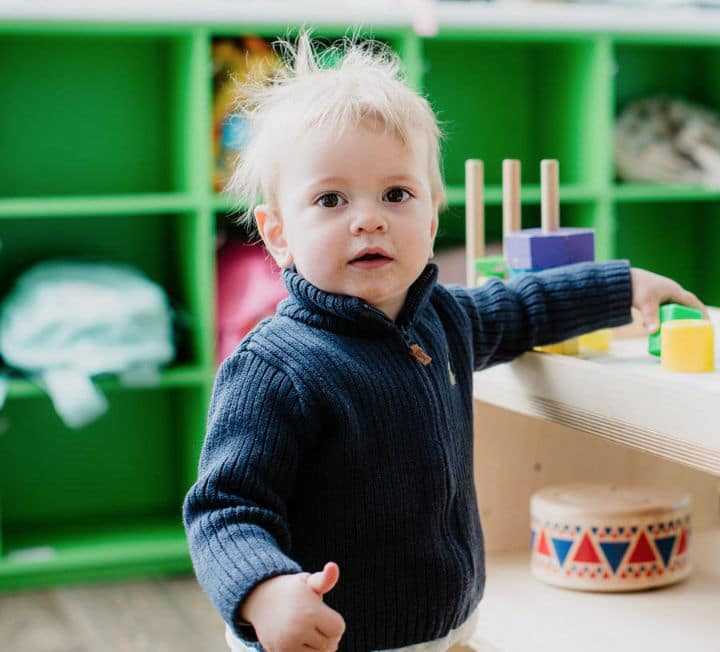 Bursting with energy and curiosity, we welcome toddlers with love, creativity and patience. 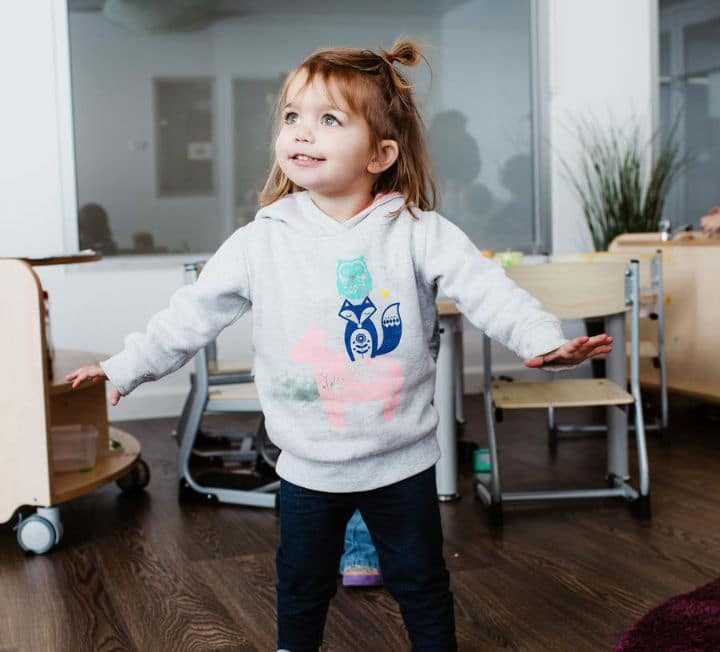 As 2 and 3 year-olds become more active and involved in their daily activities, we give them freedom and space to flourish. Preparing for the school years ahead, pre-schoolers learn and grow immensely from ages 3-5. Through structured and play-based learning, we let your child explore and learn in the way that’s best for them. The perfect environment for your child to discover their creativity, confidence and love of learning. Your child will be engaged in an honest, welcoming and friendly environment that is suited to their age and developmental needs. Our staff-to-child ratios ensure your child is getting the best care and attention they need and deserve. Keeping you connected every step of the way. To help parents keep track of their child’s day care experience, we use an online management tool called Storypark. This app allows you to discover and follow your child’s learning journey and you can also find documented stories about your child and their day. If you are interested in joining the team of educational professionals, please search positions on the Seek job board. These fees are before Child Care Subsidy (CCS). Petit ELJ Elderslie is registered and eligible for CCS support. Enrol your Child in a Kindergarten Program today to encourage a smooth transition and school readiness! Q. Do Petit ELJ provide a Kindergarten Program? A. Petit ELJ provide a kindergarten program for children in the year before Prep (children who are 4 by 30 June in the year they start). Our kindergarten program is play-based and is delivered by a qualified early childhood teacher. Q. Is your kindergarten program funded and supported by the Australian Government? A. Yes our Centres based in QLD and VIC run a kindergarten program that is recognised and approved by their respected Governments. These Centres also receive additional funding to enhance the kindergarten program. Q. What is the difference between your Kindergarten Program and Council Kindergarten’s/Private Schools? A. The difference is that our program runs within long day care hours so we operate from 7.00am to 7.00pm Monday to Friday, are open 52 weeks a year and open all school holidays which allows us to cater to all family/work situations. Q. Are you Child Care Benefit/Child Care Rebate approved? A. Yes we are! 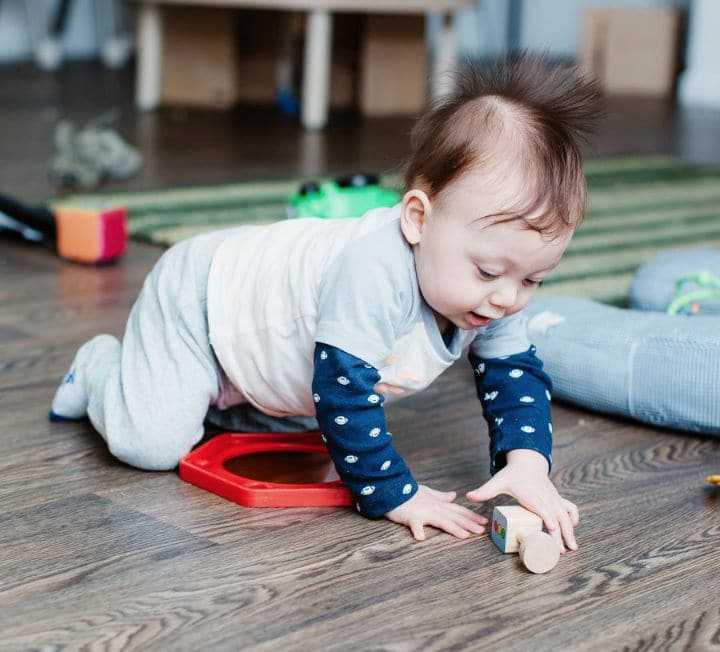 To aid in the payment of childcare fees, the Family Assistance Office (FAO) has provided access to Child Care Benefits (CCB) and the Childcare Rebate. Parents, please note it is your responsibility to apply for these schemes with the Family Assistance Office on 13 61 50. Q. When are my fees payable? A. Fees are payable on the Friday of your child’s first week of care via Ezidebit. Fees are payable one week in advance so in your child’s first week of care, two weeks fees with be debited. Q. Can my child and I have an orientation before commencing care? A. Yes you are more than welcome to orientate your child to our Petit Centres. We want to help make the settling in period as easy as possible — as new situations are often overwhelming for young children. A gradual introduction for your child into Petit Early Learning Journey centre works best. Please contact our Centre Directors to arrange a suitable time for you and your child to visit our Centre and meet our educators. Our orientation sessions are at no charge however all enrolment documents must be returned and parents must stay on the premises. Q. Do you have a minimum number of days my child has to attend? A. Yes, we recommend a minimum of 2 days as we believe your child will benefit from building strong trusting relationships with their educators and peers. They’ll also settle in more quickly the more frequently they attend. Q. What do I need to bring on my child’s first day? A. You only need bring a spare change of clothing, a water bottle and linen for your child as we supply all meals, nappies and sunhats. For families who have littles ones in the nursery, please bring bottles and formula/breast milk. If a comforter such as pacifiers, blanket or soft toys is required, please feel free to bring this along too. Q. Can I please come in for a tour before deciding whether we enrol our child? A. Yes you most definitely can! Please call our Centre Directors to arrange a suitable time for you and your child to visit our Centre and meet our educators or request a tour here. Q. I want to enrol my child, what is the process? A. Please complete an online enquiry form or alternatively call your preferred Centre you can locate their number here and a Petit team member will be in touch with you to walk you through the next steps in enrolling your child. Submit this form and we will get in touch within 48 hours to schedule your tour. Make an Enrolment EnquiryJust submit this form and we will get in touch within 48 hours. Which centre do you wish to enquire about? Fantastic centre, great staff, great food. My kids love it and I feel very confident sending my children there. I would recommend to anyone. My family and my son who attends this service is very happy with all the workers. Book a free tour.Just submit this form and we will get in touch within 48 hours. Download Family Handbook.Fill in the form below to get your copy of the Family Handbook.